Beach resort logo purple customized sunglasses make one awesome promotional choice for marketers who are targeting maximum customers in a particular season. This purple imprinted sunglass is often well-received by beach goers because it highlights their joyousness and makes one memorable holiday gift. Later they can wear these customized sunglasses to parties and other public events, too. Beach resorts, which are trying to build strong customer base within short time can always order this sunglasses in bulk and seek favorable discounts. 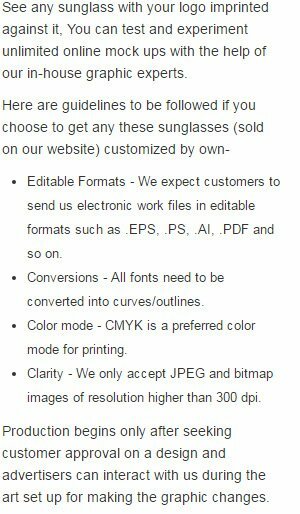 We are receiving huge orders for this sunglass from marketers who are trying to strike long lasting business deals with their customers. Highlights – 4 -Color process highlight. Beach resort imprints. Purple sunglass frames.